Imagine what it would be like to eat at your favorite restaurant every day. Going there would be exciting at first, but with time it would simply become part of your routine—and you might even get bored with it. Past research has found that we adapt surprisingly quickly to the good things we get in life, a phenomenon psychologists call hedonic adaptation. Doing something for the first time is likely to make us happier than doing something for the fiftieth time; we get used to it and take it for granted. But do we adapt in the same way to giving good things to others? Research suggests that people who spend money on someone else experience a larger boost in happiness than people who spend money on themselves, at least in the short term. 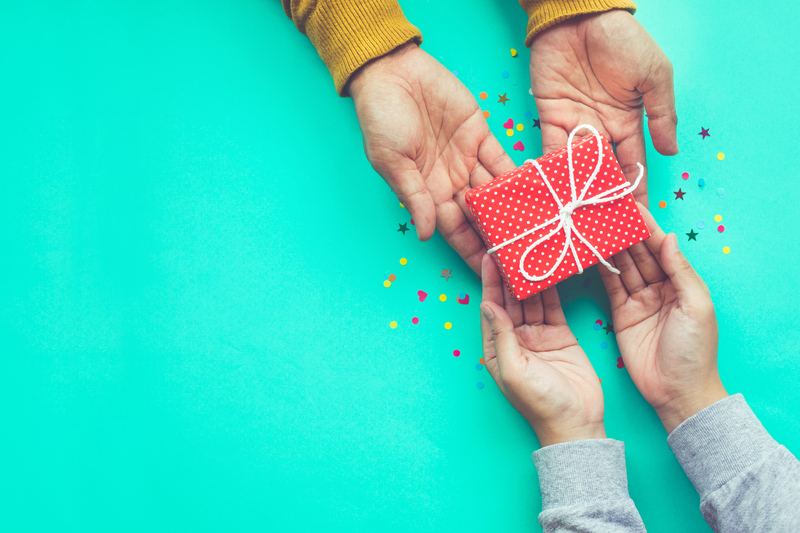 A recent study in the journal Psychological Science set out to test how the benefits of giving and getting compare over time, as they become routine. The researchers recruited 96 participants from a university community and gave them $25 to spend over the course of five days. Approximately half of the participants were asked to spend the money on themselves, while the other half were told to spend it on someone else. They were free to use the money on whatever they wanted, as long as they spent $5 each day in the exact same way. For example, some participants bought themselves a snack or drink, treated someone else to coffee, or donated to an online charity. Each night, participants filled out surveys reporting on their general happiness and mood, as well as how happy they felt right after spending the money. The researchers found that people who spent the money on themselves declined in happiness over the five days of the study—suggesting that they may have initially experienced a happiness boost that diminished after the novelty of getting wore off. However, for people who spent the money on others, this decline didn’t happen; their happiness remained high throughout the study. These effects were even stronger for participants’ general feelings of happiness than for how they felt right after the experience. In a second experiment, the researchers found similar results. Here, participants played multiple rounds of an online game that was set up for them to win; some participants were told that they would keep their winnings, while others were told that they could pick a charity for their winnings to go to. When participants won money for themselves, winning felt less enjoyable—they were less happy, elated, and joyful—as the game went on. However, for participants whose winnings went to charity, their enjoyment from repeatedly winning declined more slowly. Why were giving and spending on others relatively resistant to hedonic adaptation? The authors suggest that there could be a good evolutionary reason why we’re motivated to give to others: our deeply rooted human need to belong and to be part of a social group. Repeatedly giving to others may be especially rewarding to us because maintaining our reputation as kind, helpful individuals is crucial to our survival and thriving. The authors explain that social reputations are built up slowly—and can be damaged quickly if one behaves in a selfish way. This research suggests that giving to others doesn’t seem to get old in the same way that spending on ourselves does. In other words, while having dinner at your favorite restaurant every day might become mundane, there’s a way to make your happiness last longer: Treat a friend to a meal. Originally published in Greater Good Magazine. Greater Good magazine turns scientific research into stories, tips, and tools for a happier life and a more compassionate society. Through articles, videos, quizzes, and podcasts, we bridge the gap between scientific journals and people’s daily lives, particularly for parents, educators, business leaders, and health care professionals.